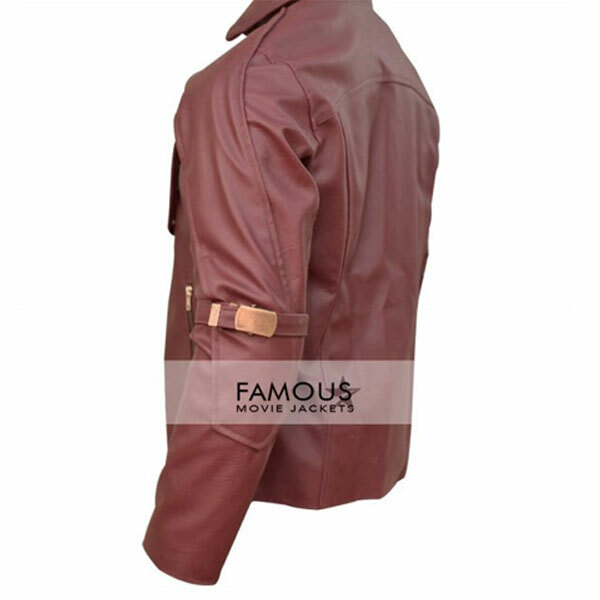 Leather jackets have been proving with shine since nine tees for sure and still high in demand with soo much pleasure seeking attraction and look trying to complete all defined desires for sure. The jacket should be like which should fully admit and get all things done in just one. 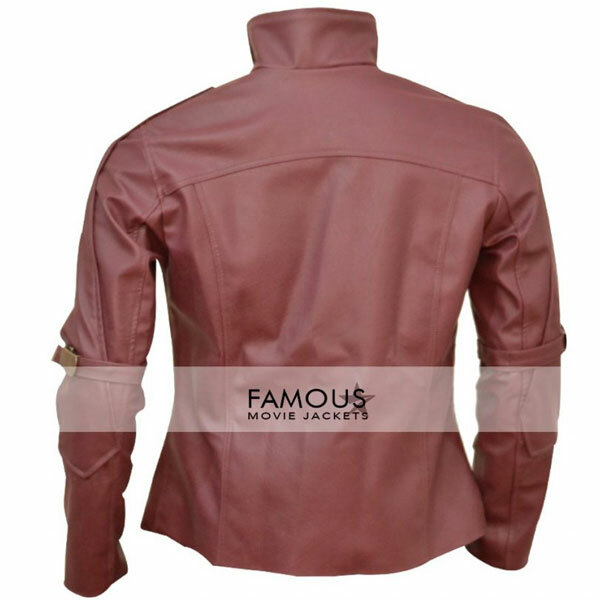 The quality of the style the looks the presentation the entrance should be no lesser than a perfect example for the wearer and if you here one to get the best desired piece then you are at the right place because we famous movie jackets care about your desires with all temptation and then we proudly present Chris Pratt Guardians Of The Galaxy Jacket the jacket with maroon color round neck collar YKK zipper in front for closure and front jetted pockets with bicep fitting style. So get it done order it now. The Guardian Of The Galaxy Jacket is seriously classy because it has no rough style or any funky things.It has pure red collar make me feel like the great and handsome of all..
i saw that movie yesterday & search for this Chris Pratt Jacket and you no what i found it on Facebook i saw this jacket and click it and order it now, i think i never get anything from Facebook in such a great time when i need it thanks to famous movie jackets to share this jacket. The Guardians Of The Galaxy jacket is too smart and inspiring that just makes me believing. 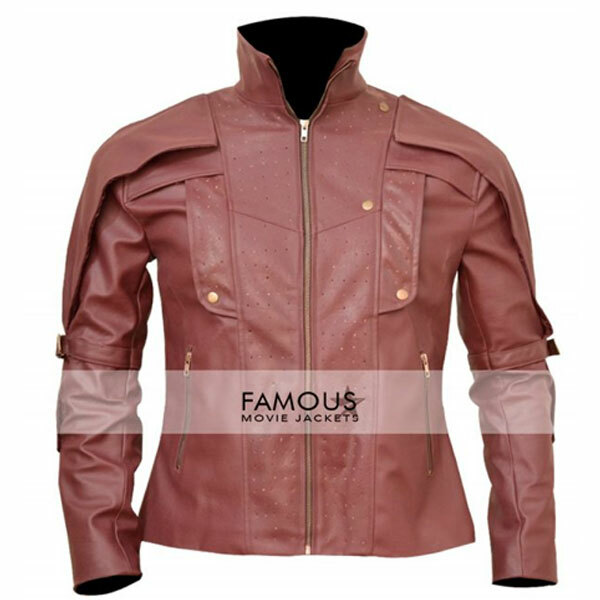 i order yesterday for this Guardians Of Galaxy Chris Pratt Jacket the movie is great i saw it that i will purchase it. brought that jacket on black friday and what i got today my order was delivered so much impressive delivery, in a few day i brought 1 more chris pratt jacket for my friend for christmas eve. i am 100% satisfied costumer of famousmoviejackets just because of i brought this guardians of the galaxy three time and every time i got the perfect one. so i refer my friends to buy from here. the jacket fitting is very good, have some issue regarding to size but its my fault and they solve my problem with some charges, i feel good now… thanks to you guys. many people brought Chris Pratt Guardians Jackets when it was release i also brought, but i a was not satisfied with the quality of first jacket that i got 6 month ago, now last month i purchase one from here and wear it several time to test the quality and comfort of jacket and i said today it looks new like first day when the order is delivered, my order was received last month and proper checking of the jacket i give this review to you guys, thanks to giving your costumer quality outfit, great work. Very cool outfit I got it as a present for my boyfriend as he is a big fan of this Chris Pratt and he got crazy when I gifted him this. he wait desperately for the his movie Jurassic World, thanks to you guys to make him happy. This jacket is amazing I just love it when my boyfriend wear it he look really awesome on this outfit, he say thanks to me for this gift he look perfect because it fit on his body very finely…. Before buying something it is very essential to read review, i also read it and i ordered that jacket and it delivered to me and little bit issues in sizing it will be very appreciable if this problem solved urgently, it will be big thanks. last week i order it and today my order delivered to me, now i think that brought some another item for Halloween and avail this offer, but i want to confirm that my order will delivered to me before 31.
this jacket grab my attention when i received my order leather quality is high stitched very well without any fault zipper working fine length is little bit small but i see you mailed me about the length no issue. i have no big words what i received quality is good stitched very well and thanks for this fast delivery. This is a very stylish Jacket I just received in the mail and boy was it worth it, a $119 in REAL Leather??? That’s an offer I can’t find in any other Leather Jacket stores I been in, an offer that I cannot miss! Chris Pratt’s Guardian’s Jacket has always been an attention grabber every time I watch Guardians of the Galaxy movie! A must have for GOTG fans such as myself!